We Accept Referrals of Traumatic Brain Injury Cases Nationwide Available 24 / 7 / 365 to Answer Your Call. 2) We NEVER Represent Insurance Companies! 4) Helping Injured People for Years. Were you or a cherished one injured because of a negligent party ? Did you and your cherished one suffer a brain injury? We invite you to talk with our injury lawyer to find out more about chasing compensation. At Ernest Bauer Personal Injury, we believe the negligent parties should take accountability for their actions. You should not have to suffer because of someone else decisions. Our injury lawyer is devoted to helping families and victims seek the compensation they’re entitled to. Nobody is above the law, and we fight to make sure you’re justly compensated. We also are trial lawyers who have in depth experience litigating injury claims. When insurance companies are reluctant to fairly settle a claim, we don’t hesitate to take a case to court to help protect your due compensation. We have seen firsthand how families struggle economically after an accident. We also know that hiring an attorney would be the last thing on your mind, because you may think you can never afford one. Our Attorney would like you to know you can. 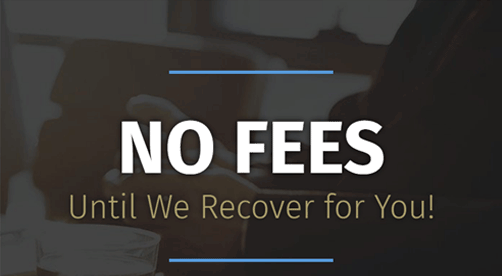 In our law firm company, we don’t bill any fees that are out-of-pocket. If we are unable to procure a monetary settlement, then you don’t owe any fees. We’re even available 24/7 so you can reach us whenever you require it. Seek Justice Today. Let’s Go to work on your injury case. Serving Victims Across Louisiana – Were you or a cherished one injured because of a negligent party ? Did you and your cherished one suffer a brain injury? We invite you to talk with our Tangipahoa Parish personal injury lawyers to find out more about chasing compensation. We believe the negligent parties should take accountable responsibility for their actions. You should not have to suffer because of someone else decisions. Through Ernest J Bauer’s years representing individuals and families throughout the state of Louisiana, he knows first-hand how difficult it could be to get a family dealing with personal injury as a consequence of car, truck, or motorcycle mishaps and just how significant it’s to get an attorney with expertise, knowledge, and ethics whenever you’ve been hurt and need help. No matter if you’re driving an automobile, truck, SUV, or 18-wheeler, the moment you step into your car or truck and push onto the road, you’re accountable for not only your lifetime, but you’re also accepting accountability for the protection of every life you encounter on the road. Every day, thousands of people are severely injured or killed in a catastrophic car accident due to the fault of a reckless driver. Recklessness can be defined by more than simply driving while under the influence (DUI) or driving while drunkenness (DWI). An automobile accident can occur by a motorist taking their eyes off the road to respond to a message or falling asleep at the wheel. In Louisiana alone, the Department of Transportation Highway Statistics Report for 2012 reported vehicle accidents. Today, text messaging while driving is among the most frequent distracted driving behaviors that lead to serious car accidents. Normally, a driver’s eyes leave the road for 4.6 seconds, which increases the potential risk of an automobile accident by 23 percent. The personal injury resulting from an automobile accident can be a serious issue. Ernest J Bauer the premier Covington accident attorney, has been representing victims of vehicle accidents and he is dedicated to making certain you receive maximum compensation for your injuries and will fight on behalf of your legal rights. Stop by our Covington, LA office or call (504) 610-5645 and establish a free consultation. Here are a Couple of tips to be aware of if you’re involved with a severe car crash: Immediately call 911. The straightforward action can mean life or death to get someone involved with an automobile accident with an 18-wheeler or large vehicle. Alerting the proper government can also be important to get a proper in assessing the spectacle and the condition of the car and people if trapped inside the car. In case the parties involved with the collision can remain on the scene, it’s important to gather all contact details from witnesses and all drivers. INSURANCE CLAIMS LAWYER COVINGTON, LA ATTORNEY. If your insurance provider denies your claim without appropriate cause to do this, you want Ernest J Bauer, insurance claims attorney, on your side. A common issue with insurance firms is the refusal to pay on the collection of your benefits – whether it be due to an auto accident, loss of a cherished one or wrongful death, or amassing on home owner’s insurance coverage. Because of the insurance firm’s refusal to compensate, you could be stricken by hardships and future safety. To make matters worse, in the event the insurance claim involves damage to property to a business, worst case scenario leads to the suspension of business operations because of property damage. Dealing with insurance companies yourself is pointless and may be incredibly time consuming. Let Ernest J Bauer take your insurance provider to court and get you the compensation you deserve for the loss. He’s been representing people with their own health, lifestyle, and property insurance claims so Call our Covington, LA office to get a free consultation (504) 610-5645. The reason we buy individual and commercial insurance coverages is to ensure financial security and our loved ones is preserved. When an insurance provider selects not to waive from the agreements set forth on your life insurance coverage, medical insurance, or home insurance contract, you’ve got the right to pursue the advantages you’re eligible too. Prevention – Prior to undergoing any surgical operations or therapy, make sure you completely understand your insurance coverage – what it does and doesn’t cover. Frequently times, certain processes and treatments require prior approval from the insurance company before undergoing the operation or therapy. Failing to obtain approval may mean not being insured. Do not assume that your doctor is aware of what’s and what isn’t covered by your insurance provider. Inform your physician about the conditions of your coverage in relation to your therapy or surgery. HMO medical insurance policy and A PPO means quite different criteria where doctors and specialists you can visit. For a Health maintenance organization insurance contract, you’ll not be insured for medical services out of your plan and your choice of physicians and specialists are confined to the surrounding area. PPO and on the other hand, it is your choice among most physicians and specialists around, but you want to ensure they are insured within your network to prevent being answerable for out of network expenses. Denied Claim – Before consulting with an attorney about your denied medical health insurance coverage, there’s something you may do to make sure to comprehend the situation and the conditions of your denied claim. If you’re the victim of one of those possible incidences, then you need to contact an expert Louisiana personal injury attorney. At Ernest J Bauer’s Personal Injury Law Firm, we have more years of expertise devoting maximum compensation for your loss. Stop by our Covington, LA office or call (504) 610-5645 and establish a free consultation. If you’re not sure whether you’ve a case, here are some helpful tips to determine whether filing a personal injury claim is right for you. What’s distress and pain ? A vital component in any personal injury claim is “suffering and pain.” For a claim to be just, the negligent action of the responsible party needs to have caused distress and pain. The two sorts of distress and pain are pain and distress. Distress and physical pain are a reference to some injuries that resulted due to the neglect of the responsible party. This doesn’t only consist of immediate injury, but additionally physical injury which may result later thanks to the actuality. And on the other hand, mental pain and distress contains the mental anguish and emotional distress which was the result of the responsible party’s neglect. Types of anguish may include fear, anger, depression, humiliation, loss of enjoyment, or some other sort of emotion. Like distress, mental pain and physical suffering may occur after the actuality. What you must do following an injury or accident ? Immediately following your injury or accident, the most crucial thing you may do to help move things along is gather as much detailed info on your accidents and how they influence your life. Possessing the details of your injury written down might assist you in highlighting crucial info on your case down the road and highlight significant information when demanding compensation for your losses. When a patient is seeking a professional for treatment or to undergo surgery, there’s an expectation that the healthcare professional is knowledgeable in their field. From the moment you enter a doctor-patient relationship with your doctor, you’re putting your life into your Doctor ’s palms. If for some reason, that physician fails to perform their responsibilities and harm results from this negligence, you’ve got the RIGHT and the ability to file a lawsuit. Though the requirements for a medical malpractice claim vary by state, there are general attributes to contemplate when determining if you can file a claim. 2) The physician was negligent. 3) The doctor was negligence and resulted in harm. 4) The accident resulted in damages. As stated before, in order to get a medical malpractice, claim to be warranted, a relationship with the doctor should have been formed. To put it differently, you’re paying the physician for his solutions. To demonstrate that the physician was negligent or incompetent when performing her or his or her clinical obligations, you need to be capable to show that the doctor’s actions resulted in harm from a qualified physician wouldn’t have under the same conditions. And on the other hand, if you had been simply unhappy with the result of your treatment, but the doctor performed competently, then the claim is not just. Determining whether the threatening actions of the physician had been the direct result of the injury or wrongful death can be challenging because typically, a patient is already ill or hospitalized prior to receiving treatment. The patient needs to show that the negligent actions of the physician were likely” to result in additional harm as a direct result of the doctor’s incompetence. Specific injuries, or damages, which are the result of incompetence are pain, psychological distress, lost earning capabilities, and additional cost to medical treatment. Though we’ve discussed the requirements for claiming a medical malpractice claim, you should be knowledgeable as to the types of medical malpractice which might occur. In general, medical malpractice drops into one of the below situations. The wrongful death of a cherished one because of an accident is never easy. The sudden loss can hit you in multiple ways — including economically. It might lead to a dramatic loss in family income and companionship, as well as leave the future unknown and filled with stress. You shouldn’t need to endure this weight alone. You need to consult with an experienced wrongful death attorney who will guide you through way of this process. Stop by our Covington, LA office or Call (504) 610-5645 and establish a free consultation. To assist you know more about the practice of filing a wrongful death claim, here is some info to consider. Do you really have a wrongful death case ? The situation of wrongful death arises because of the actions of a negligent, or intentional, party attributing to the passing of another. These actions of negligence or intentional misconduct can arise from car or truck accidents, defective products, medical malpractice, chemical exposure, etc. For a claim to be justified, beneficiaries should have incurred distress because of the sufferer ’s death. As per Louisiana’s statute of limitations, a claim must be submitted within one year of the date of the sufferer ’s passing. In the state of Louisiana, the parties with exclusive right to deliver a lawsuit for damages to court are the sufferer ’therefore named beneficiaries. Particularly, successively members of the sufferer enjoy spouse and kids. In case the sufferer doesn’t have successively family that is exclusive, then the immediate family, parents of the victim, can pursue the claim. When a consumer purchases a product, there’s a reasonable expectation that the product sold in stores will be safe to use — whether that product be for a young child or adult. Products are tested to pass consumer security tests, but sometimes, specific products purchased for commercial construction use or pharmaceutical purposes might cause problems due to exposure. Common examples include lead paint, asbestos, and mesothelioma. In case you’ve any of those problems, contact an experienced product liability attorney. When it boils down to this, vendors, distributors, and manufacturers are accountable for presenting their goods safely into the industry. If one of those products introduces a threat due to defectiveness, or outside exposure, and accidents or wrongful death occurs as a result, they can take place liable. It’s been an all too familiar story of companies remembering products due to Manufacturer flaws that the business was aware of frequently times years but neglects to behave because of the costs associated with mass recalls. we understand that for our customers, this isn’t acceptable behavior. You cannot let those businesses place a cost on the security of your loved ones. Our Law Firm has in depth knowledge of product liability legislation. We’re here to listen to your own claim and determine the responsible of the party. We’ll work with you to seek maximum reimbursement and hold them liable for the neglect of their product security. If you’re in need of a product liability attorney, contact us today. Here are a few tips for determining if you’ve a claim. The victim was injured or suffered losses. The product is faulty. The accidents were a consequence of the product that is defective. You had been utilizing the product as educated for its use. Comparable to a personal injury claim, for a product liability claim to be valid, an injury or loss must have happened for the claim to be valid. If the faulty product did cause you injury, you finally must determine if the item is faulty. A product might be defective either because of a manufacturing error, design flaw, and failure to warn. In a manufacturing mistake, this may be as straightforward like a crack on a product that causes the unexpected response that inflicts injury or harm to you and your property. A design flaw is normally challenging to establish since you need to ascertain that the item’s design is flawed. An example might be a product made from a flammable material that’s supposed to be exposed to heat sources that inflict injury or injury after the fact. As for a failure to warn mistake, the product can be harmful as per it is quality that isn’t obvious to the ordinary consumer. Personal injury lawyer 70433, Personal injury attorney 70433, Personal injury lawyer 70434, Personal injury attorney 70434, Lawyer 70433, Attorney 70433, Lawyer 70433, Attorney 70433 Lawyer Covington, Attorney Covington, Personal injury lawyer, Personal injury attorney New Orleans, Attorney New Orleans, Personal injury lawyer Baton Rouge, Lawyers in Baton Rouge, Personal injury lawyer Shreveport, Personal injury attorney Shreveport, Personal injury attorney Metairie, Personal injury lawyer Metairie, Personal injury lawyer Lafayette, Personal injury attorneys Lafayette LA, Personal injury lawyer Lake Charles, Personal injury lawyer Bossier City, Personal injury lawyer Kenner, Personal injury lawyer Monroe, Personal injury lawyer Alexandria, Personal injury lawyer Houma, Personal injury lawyer Marrero, Personal injury lawyer Prairieville, Personal injury attorney New Iberia, Personal injury lawyer Central, Personal injury attorney Laplace, Attorney near Slidell, Personal injury car crash attorney Terry town, Personal injury car crash attorneys Chalmette, personal injury car crash attorneys Ruston, personal injury car crash attorneys Hammond, personal injury car crash attorneys Bayou Cane, personal injury car crash attorneys Sulphur, personal injury car crash attorneys, Accident attorneys Louisiana , personal injury attorneys Harvey, Personal injury lawyer Shenandoah, Personal injury lawyer Natchitoches, Lawyer Gretna, best lawyer Zachary, best lawyer Opelousas, best lawyer Estelle, best lawyer Thibodaux, best lawyer Pineville, best lawyer Belle Chasse, best lawyer River Ridge, Personal injury lawyer Baker, Personal injury lawyer Youngsville, Personal injury lawyer Luling, Personal injury lawyer Crowley, Personal injury lawyer West Monroe , Personal injury lawyer Moss Bluff, Personal injury lawyer Bayou Blue, Personal injury lawyer Minden, Personal injury lawyer Mandeville, Personal injury lawyer Abbeville , Personal injury lawyer Bogalusa , Personal injury lawyer Woodmere, Personal injury lawyer Claiborne , Personal injury lawyer Morgan City, Personal injury lawyer Destrehan.